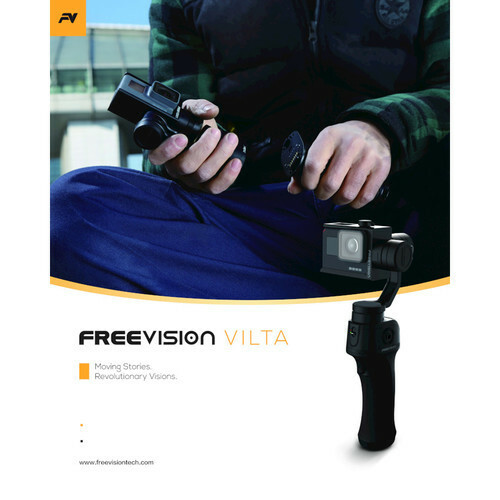 The FreeVision VILTA is a compact, ergonomic 3-axis gimbal offering handheld and wearable operation modes. 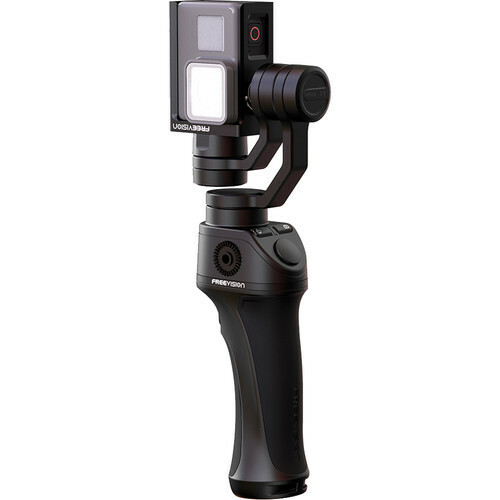 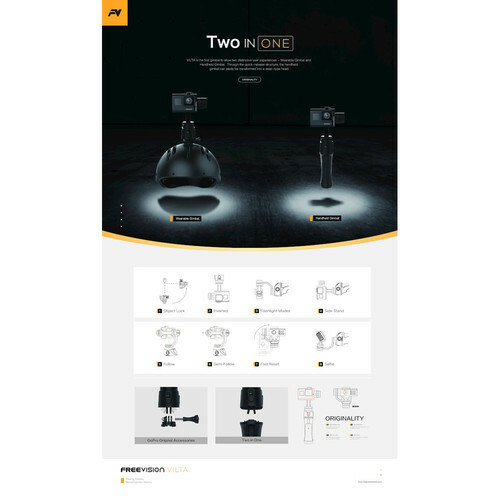 The handle can be removed, and the remaining gimbal base can be used independently. 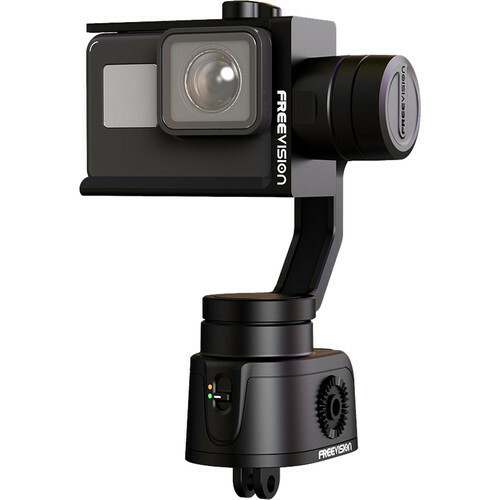 The base features a standard GoPro 2-prong mount that folds out on the bottom and allows you to attach the base onto numerous GoPro support accessories. 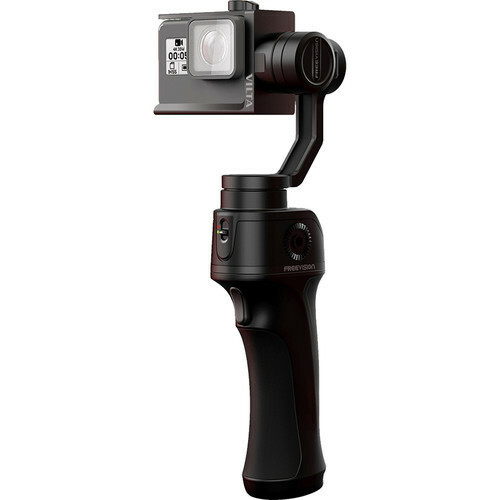 Accordingly, you can wear the base on helmets, mount it on bikes, and much more. 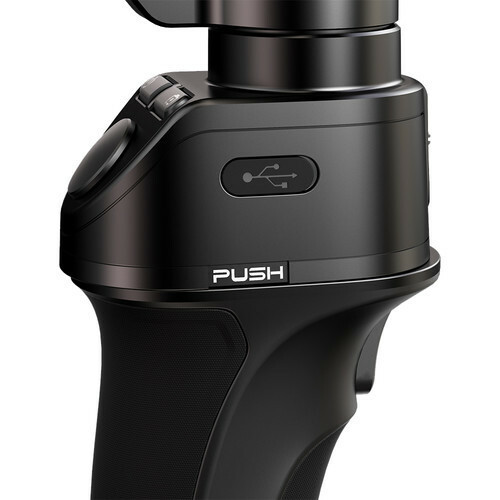 Moreover, the VILTA joystick is on the base rather than the handle, so even when you use the base independently you retain all functionality. 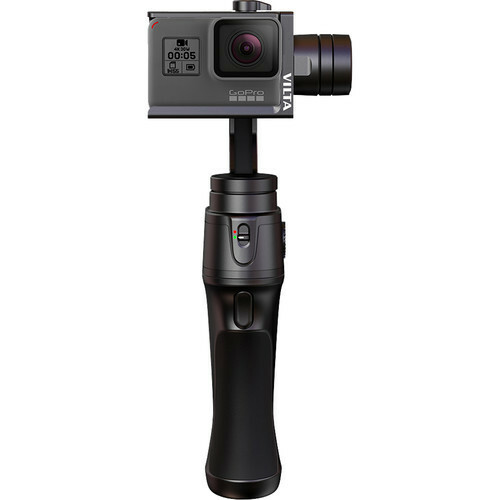 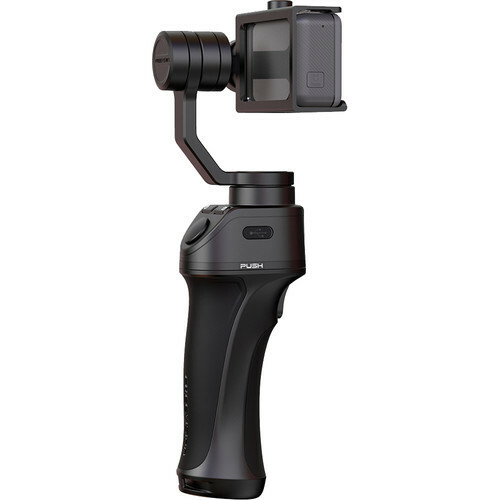 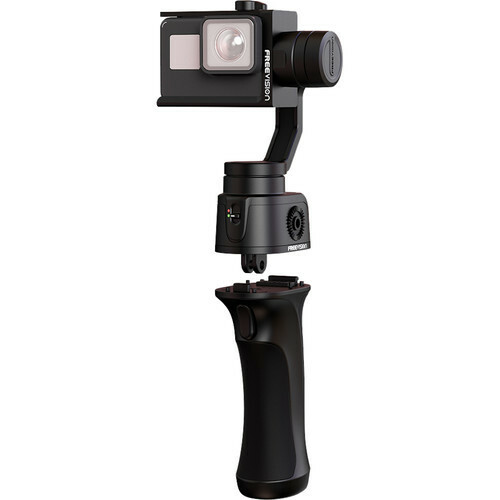 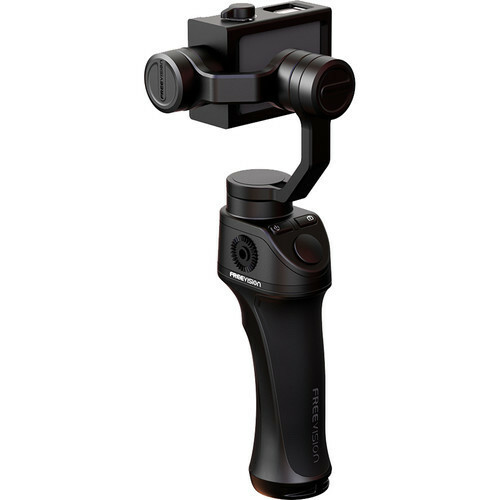 The VILTA supports the GoPro HERO5 Black directly into its integrated camera holder, and the HERO3 and HERO4 via an included bracket that installs into the camera holder. 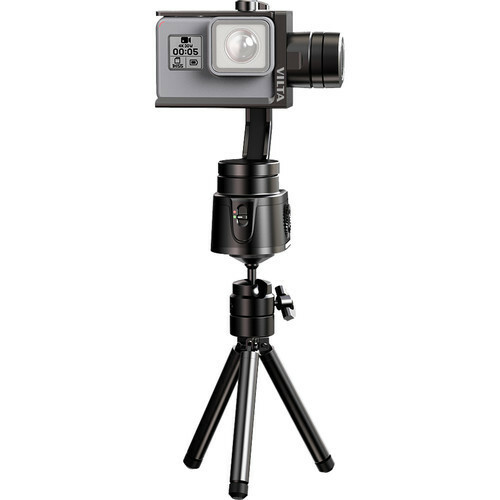 The VILTA offers manual and follow control of the pan and tilt axes, and 360°, infinite rotation along the pan axis. 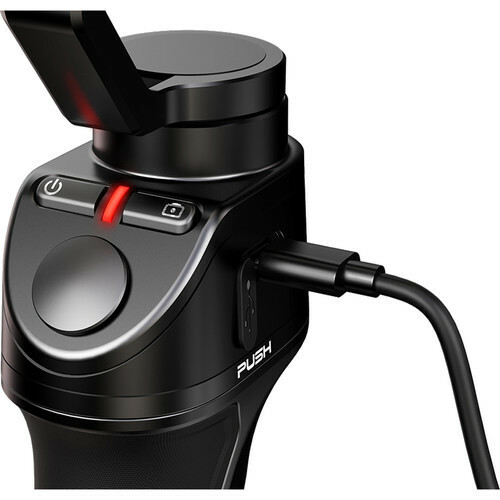 For manual control, it has a stepless thumb joystick with adjustable speed and sensitivity for different conditions and preferences. 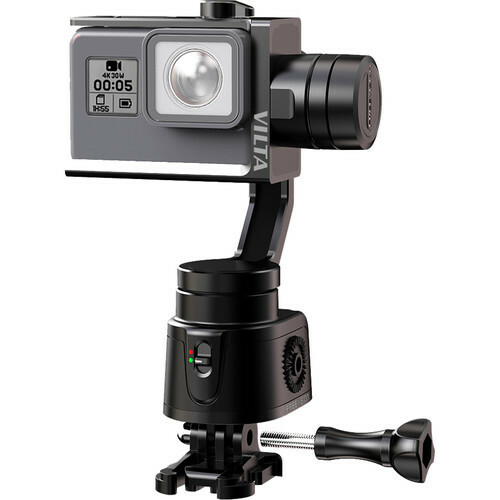 Behind these functions, the VILTA features advanced motor control and servo control algorithms that provide fast response speed and high control precision. 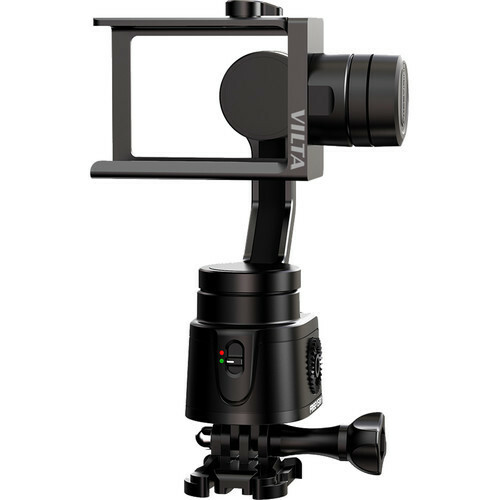 The VILTA also has an auto-calibration feature that automatically sets it to the optimal balance every time you power it on. 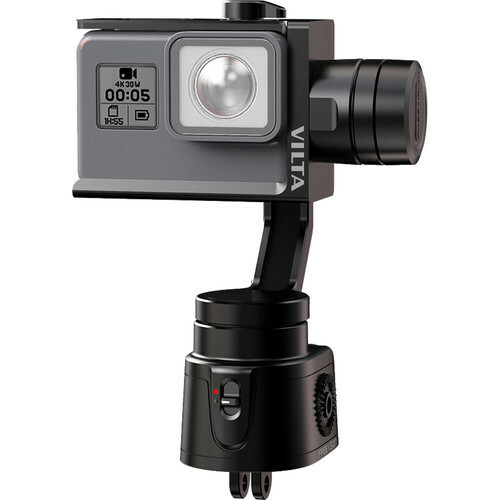 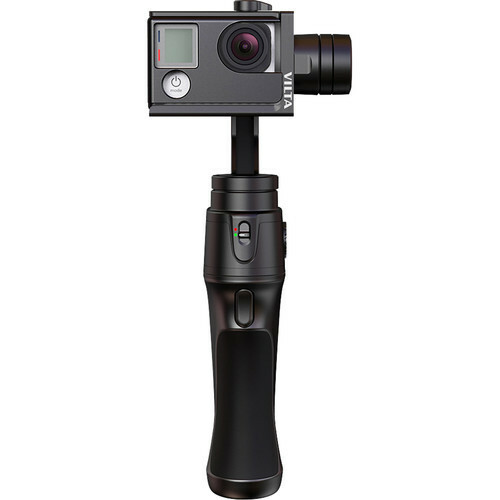 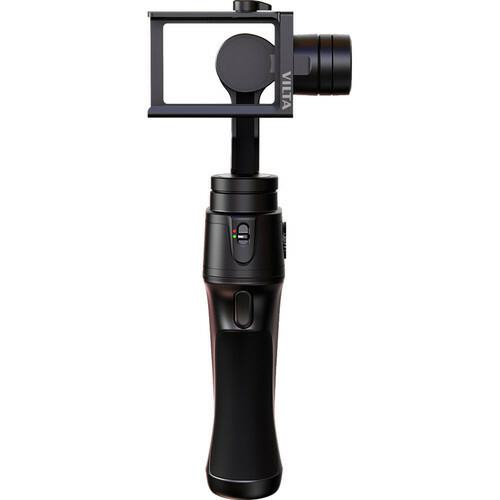 The VILTA also comes with a user-friendly mobile app for iOS that allows you to control the gimbal remotely as well as monitor the video from the GoPro. 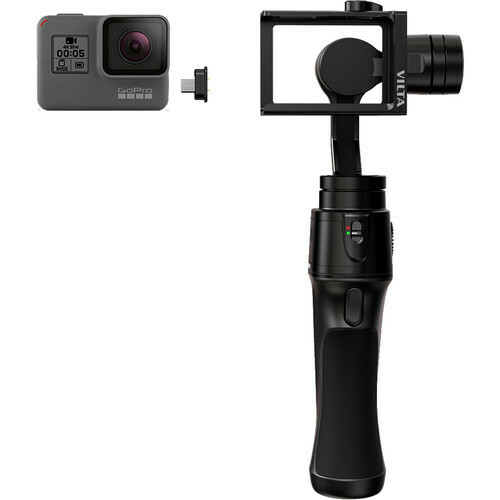 In addition to its own functions, the app has most of the features of the GoPro app, so you won't need to switch back and forth between the two apps.